14006 Green Birch Drive, Pineville, NC 28134 (#3415920) :: Robert Greene Real Estate, Inc. 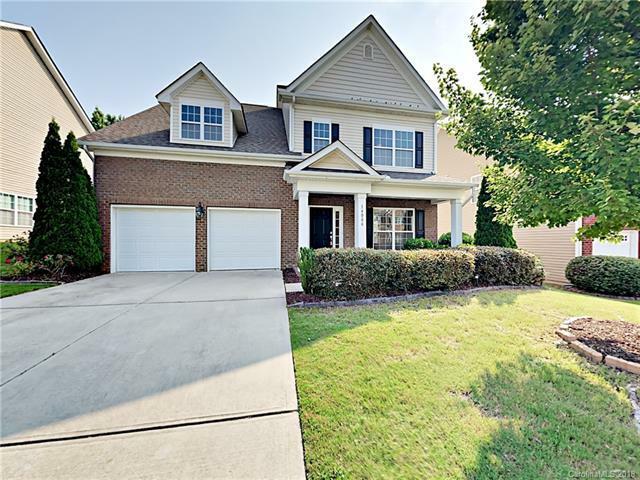 Absolutely stunning 5BR/3.5BA home in Carolina Village. Move in ready with hardwood and carpet in common living areas. Fresh two tone interior paint. Formal living room and dining room off entry. Kitchen is spacious and boasts dark stained cabinets, granite counter tops, and stainless steel appliances. Fireplace and large windows in living room. Master is large and attached en suite bathroom with dual sinks, tiled shower and garden tub. Bonus room is huge and has two closets. Beautiful wooded, fenced backyard with detached deck. Beautiful home! Sold by Homes With Cachet Llc.